Plants use light to make food through a process called photosynthesis. During photosynthesis, plants use the green chlorophyll, a pigment, to help convert carbon dioxide, water, and light into carbohydrates and oxygen. When they do this, they create the materials that they need to grow. This is just one reason that plants are amazing: they never need to go to the grocery store! 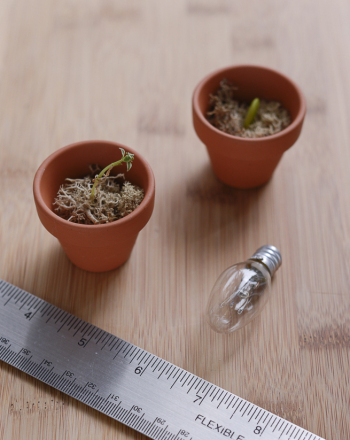 What types of artificial light are best for plants? What angle of light do plants prefer? To conduct this experiment, you’ll need a room that can be quite dark for two weeks. 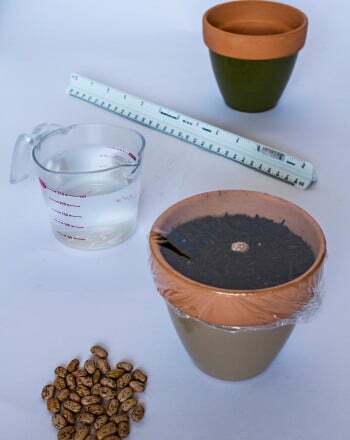 Put potting soil into the plant pots, and bury a bean seed under half an inch of soil in each pot. Mist the soil gently so that the beans have water. Place each plant in a box. Put the four light bulbs in the four different desk lamps. Place the lamp over the box so that the light does not escape from the box. Make sure that it is not touching any paper! Turn the lights on every morning and turn them off every evening. Place your fifth bean seed in a sunny window. Make sure that the soil stays damp, but not too wet. After a week, you will likely see a sprout coming out of the soil. Wait for another week or more, then turn on the light in the room and take a photo of each bean plant. Label the photos with the type of light the plant received. Which one grew the fastest? Does one look healthier than the others? Now, plant three more bean seeds in three of the pots. Cut a hole in the side of two of the boxes. Place one lamp above the bean seed, one on the side of the second pot, and one below the third pot. Wait for two weeks or more, then take a photo of each plant. What happened? Plants prefer full spectrum artificial light or sunlight. They grow best when the light is above the plant. The visible spectrum of light contains many different colors. These colors are visible in a rainbow. Plants use different types and colors of light in different ways. Plants use blue light to help grow their leaves. When it is combined with blue light, red light helps a plant flower. The lights that we consider to be warm household lights have a lot of red light. Green light is not particularly helpful to plants. It is reflected off the plant’s green surfaces. Sunlight or full spectrum light gives the full menu of light to a plant. 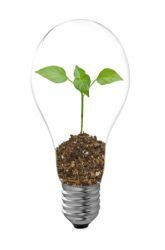 An artificial full spectrum light bulb gives plants all of the light that they would have outdoors, so they can use it like they would use the sunlight. Sometimes a bulb can be better than sunlight, since much of the sunlight a plant gets inside the house is indirect light that is not very intense. 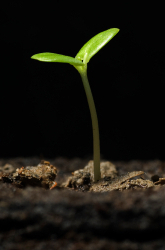 Plants grow toward the light, because this is their source of food. In nature, light generally shines downward. A seed begins growing in the soil, and it grows up toward the sun. The competition for this light is fierce. When a plant gets larger, it receives more light and may shadeother plants below. Why do plants grow toward the light? In part, this is due to gravity. Gravity gives plants a sense of“down” and “up,” and it means that plant roots grow down and plant shoots grow up even in the dark. However, plants also need light, so they will grow in the direction of the light. If the light is to the side, this means that the plant first grows up, then grows over. It needs to grow so that its leaves are angled to the light, and this is harder to do than if the plant were growing up, when its leaves would naturally point upwards towards the sky. Warning is hereby given that not all Project Ideas are appropriate for all individuals or in all circumstances. Implementation of any Science Project Idea should be undertaken only in appropriate settings and with appropriate parental or other supervision. Reading and following the safety precautions of all materials used in a project is the sole responsibility of each individual. For further information, consult your state's handbook of Science Safety. Do Plants Grow Better in Sunlight or Artificial Light? This science fair project idea discovers if an artificial light source will yield the same plant health and growth rates as light from the sun. Does The colour of Light Affect Plant Growth? 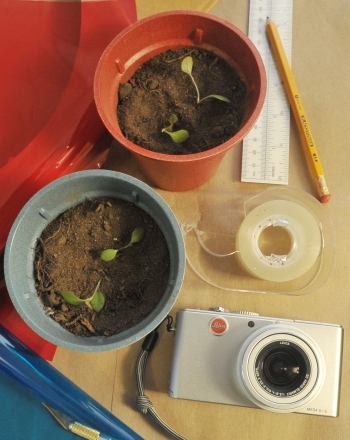 This science fair project idea determines if the colour of light affects the growth of plants. 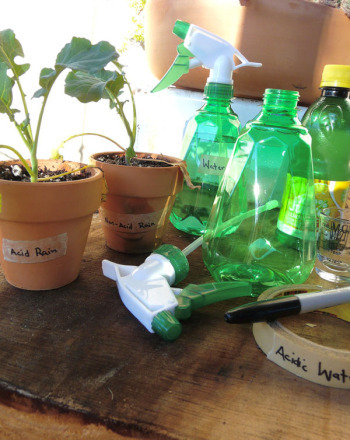 This science fair project idea researches the effects of acid rain on plant growth. What are the effects of colored light on plant growth? 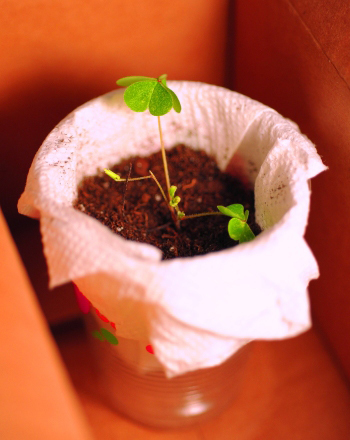 Explore plant behaviour in this cool botany science fair project and learn about phototropism! What Kinds of Water Yield Fastest Plant Growth? 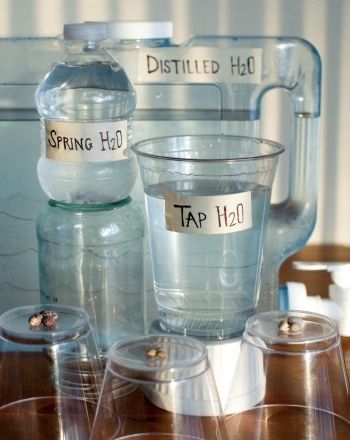 Examine whether distilled water, spring water, or regular tap water yield faster plant growth. Will A Plant Still Grow Even When You Put Something On Top Of It? Find out whether putting something on top of a plant will inhibit its growth. The objective of this science fair project is to test the growth rate of a plan in a crystal medium in comparison to traditional soil. 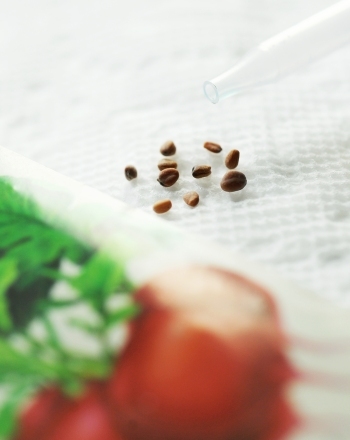 In this microwave plant experiment, find out whether microwave radiation will affect radish seed germination. Will it help or hinder the plants' growth? Almost nothing in this universe can travel faster than light! Have some fun exploring the speed of light with this space science worksheet. Ever wanted to travel at light-speed? Find out how fast that is with this fascinating physics worksheet! Artificial: Can You Taste the Difference? Which do you prefer: real or artificial? 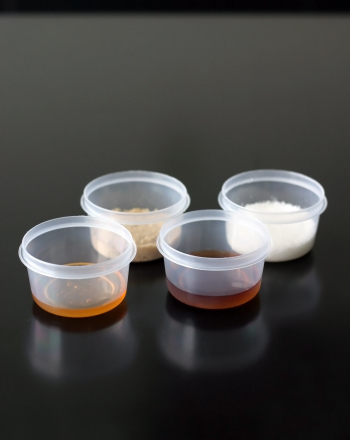 Try this sweet little taste experiment to help your kids develop a better awareness of the food they consume. 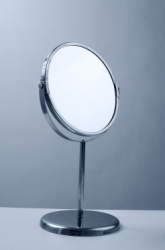 This science fair project demonstrates the principles of reflection through simple experiments involving mirrors and light.